Well, Doug wasn’t wrong! Indeed, the timelines he predicted were, in some cases, halved. In fact, many transformation have appeared already. 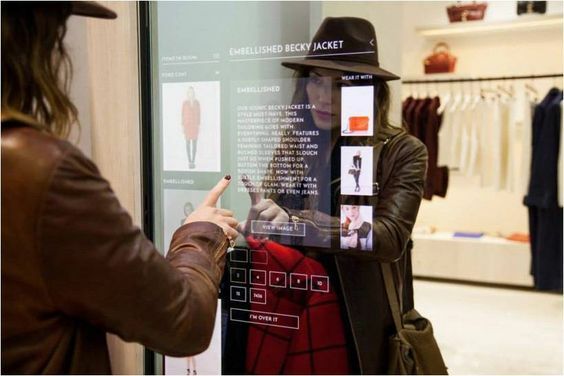 Many major retail brands have taken on the challenge of the store of the future opening innovative stores, equipped with smart showcases and interactive mirrors, smart dressing rooms, beacons, totems, touch points, RFID and much more. The premise behind this digital revolution is that technology must be usable. It must help both the customer, providing useful and personalized information, and the staff, supporting them from inventory through sales. When it comes to the store of the future it is impossible not to think of Amazon Go, the 4.0 supermarket, inaugurated last year by the American e-commerce giant in Seattle. The main strength of the store is the absence of queues and waiting at the cash desks. But how is all this possible? Which technologies are used? Amazon, to date, has not provided any particular information about it. The online retailer speaks only of “Just Walk Out” technology, and describes it, remaining generic, as a combination of sensors, deep learning and algorithms. According to many, however, one of the technologies that could be behind the operation of Amazon Go is RFID. In particular, according to Geekwire (a well-known technology news website), the Seattle company has filed a patent related to an RFID system that would allow it to detect when a buyer takes a product from the shelf. This is hardly surprising given the great potential that radio frequency technology offers. Indeed, among the digital solutions introduced in recent years, RFID represents one of the main driving forces of this wave of transformations aimed at designing the shop of the future. For example, in London, the Tommy Hilfiger megastore features smart dressing rooms equipped with RFID technology that can recognize the items introduced and suggest style options through smart mirrors. In contrast, the London temporary store, signed Zara, is characterized by the absence of dressing rooms. Its peculiarity in fact, besides not being able to physically purchase the clothes, is that of not being able to try on clothes. But this is mitigated by the fact that behind the mirrors, there are monitors using an RFID system that show the customer the details of the product, the price, the size and the possible combinations with other clothes available inside the warehouse. These are just two of the many solutions adopted to support the customer experience, which we will see more and more often in stores and which will help and guide the shopping journey. 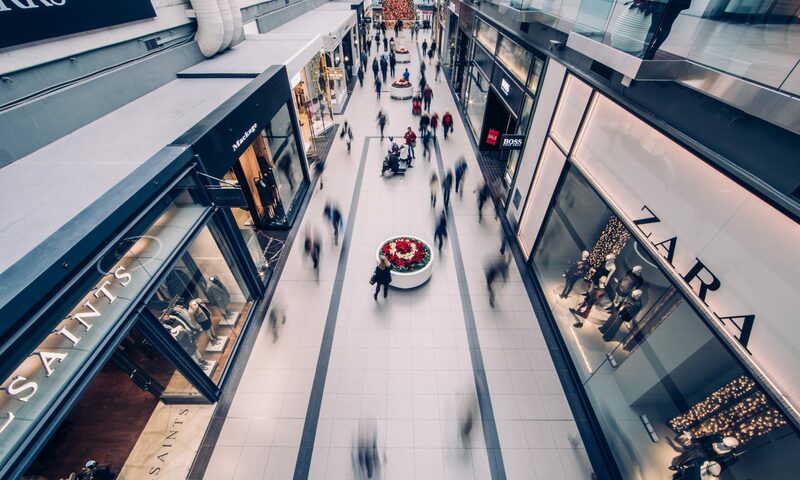 In addition to investing in solutions to improve the customer experience, retailers are also investing in back-end innovations. For example, many brands are adopting technologies to optimize proximity marketing. In particular, they use beacon sensors, small wireless devices equipped with a battery, which transmit Bluetooth signals to the nearby smartphone of potential consumers. They are mainly used to send the customer ad hoc offers regarding the products he is about to meet along his journey. Other investments are related to the implementation of RFID systems for optimizing store management. The staff will know immediately if a product is available in the store, on which shelf it is and how many pieces remain in the warehouse. RFID is also already used by some brands to combat the two main market dangers: counterfeiting and the gray market. A tag that contains a unique alphanumeric code which cannot be altered, which is set by the chip manufacturer, is attached to the product label. An RFID reader can be used to check the tag and verify the authenticity of the product, thus protecting not only the brand but also the customer. 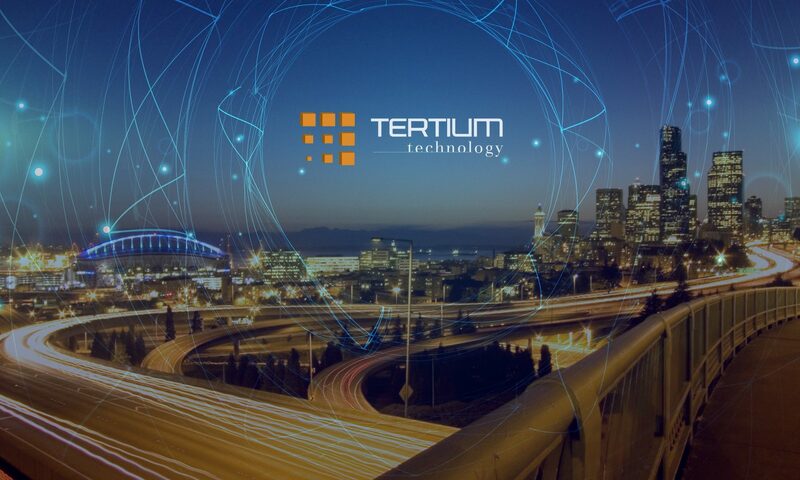 In light of the above, it is clear that the innovations implemented to date, but also future ones, will increasingly focus on offering an effective and quality customer experience. The store will no longer be just the place to go to buy the product, in fact it will become a means to manage the relationship with the customer, in which the main purpose of the brand will be to create an emotional, and valuable, connection with the customer. The technologies that allow retailers to build the store of the future are already available. The time to embrace change is now.